Here are some beautiful galaxy pics. You can even use these as desktop background wallpapers if you like. Just click on an image to see a larger version and then right-click and choose “Set as Desktop Background”. 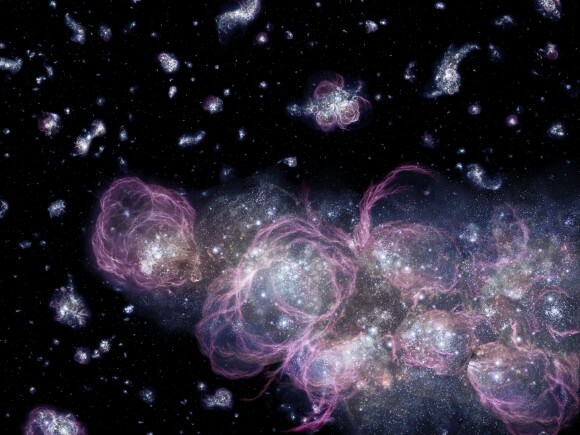 This is a picture of a cluster of stars in the nearby satellite galaxy, the Small Magellanic Cloud. These bright young stars are blasting out a bubble of gas and dust with their powerful stellar winds. This is a Hubble Space Telescope image of the nearby galaxy Centaurus A. 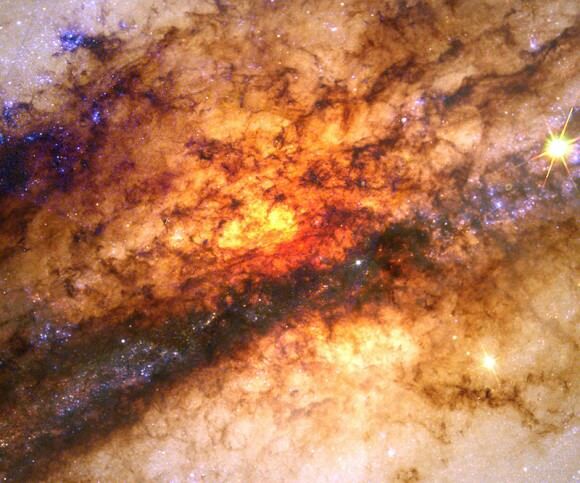 The supermassive black hole at the heart of Centaurus A is currently feeding on a smaller galaxy that recently collided. 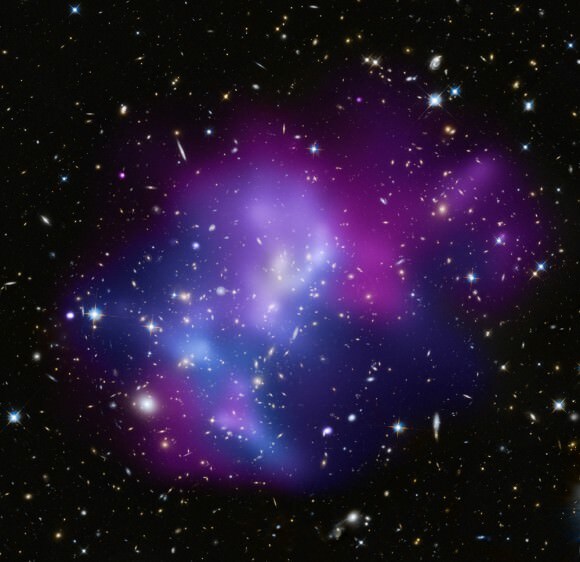 Cosmic collisions like this were common in the early Universe, but they happen less frequently now with more space in between galaxies. 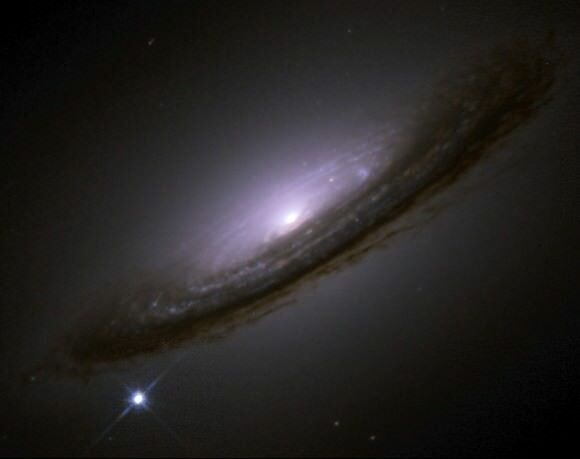 This is a photograph of the galaxy NGC 4526, captured by the Hubble Space Telescope. You can also see a bright star below the galaxy; it’s not a star at all, but a supernova that was imaged as part of this photograph. This is an image of the galaxy cluster MACS J0717 captured by NASA’s Chandra X-Ray Observatory. The image from Chandra lets astronomers see where large clouds of hot gas are colliding together, heating up to millions of degrees. This is an artist’s impression of what a galaxy might have looked like in the early Universe, just a billion years after the Big Bang. Stars formed out of the primordial hydrogen left over from the Big Bang, grew large and then detonated as supernovae, seeding the Universe with heavier elements. We’ve written many articles about galaxies for Universe Today. Here is a story about how many galaxies there are in the Universe, and here is an article about how many galaxies we have discovered.